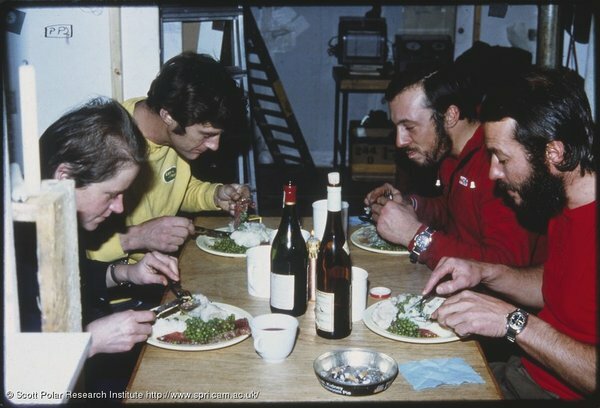 Nutrition is vital to an expeditions success getting it even slightly wrong can have disastrous consequences, many have died on polar expeditions due to the effects of poor nutrition. Photographs in the Freeze Frame collection clearly depict the effects of poor nutrition on the body during expeditions. 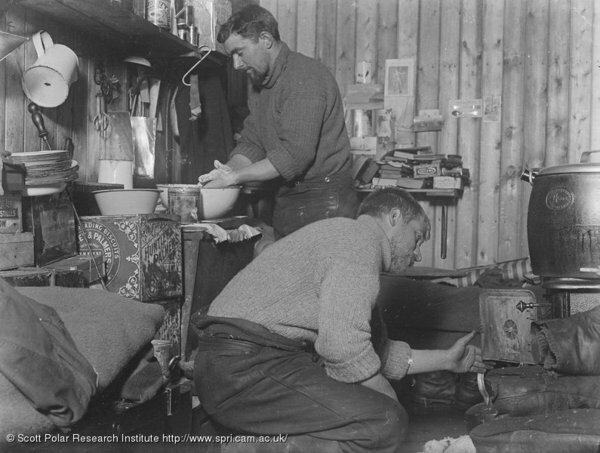 Eating in polar environments poses its own challenges but we also need to remember that our understanding of nutrition has increased greatly in the 137 years depicted by the Freeze Frame collection. The unfortunate outcomes of earlier expeditions and the successful outcomes of later expeditions in many ways can be put down to developments in nutrition. The discovery by Dr James Lind in 1747 that lemon juice could cure scurvy, unfortunately this discovery was questioned and so we still see explorers in the early 1900’s suffering from scurvy. The development of canning by Nicholas Appert in 1809, this allowed a greater range of food to be taken on expeditions, but was not without its own problems. Louis Pasteur’s discovery in the 1860’s that microorganisms can result in spoiled food. This resulted in better understanding of food hygiene and the causes of food poisoning. Today we take for granted many of the developments in nutrition, but the growth of the science of nutrition has resulted in an understanding of what the body needs to function and remain healthy. It was not until 1929 that a Noble Prize was awarded for work on vitamins, we now know what vitamins we need in order to remain healthy, unfortunately this came too late for those during the heroic age of exploration, these explorers had to learn through trial and error. This resource charts what makes up a suitable polar diet and why, before moving on to examine some individual expedition’s experiences of polar nutrition. This entry was posted on Thursday, November 6th, 2008 at 11:25 am	and is filed under Nutrition, Resources, Survival in Extreme Environments. You can follow any responses to this entry through the RSS 2.0 feed. Both comments and pings are currently closed.